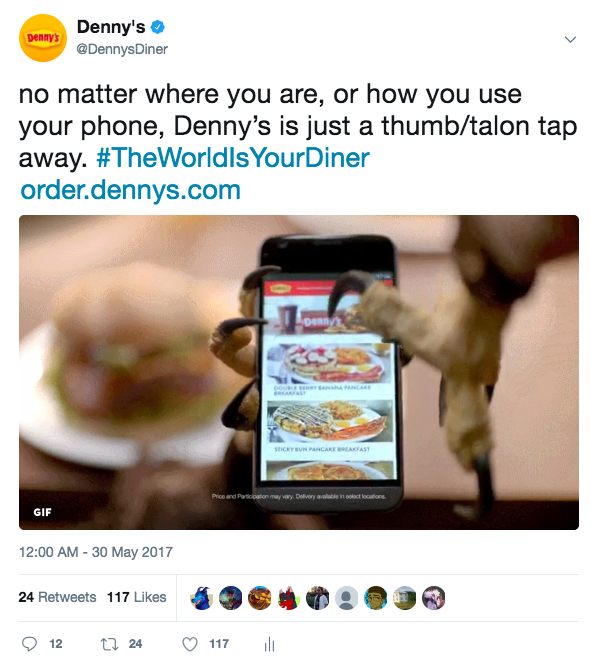 In the biggest news in the history of history, Denny's turned to us to help them launch Denny's On Demand, their online ordering component. We handled menus, in-store, social, crm and of course, video and television. We even built their app, 100% in house, which you can download here. For the spots, I turned to the team of Will Isom, CW and Tim Kang, AD. Our director was Clay Williams, Music was from JSM, Post was from Erik Laroi at Maccut. And of course, our CCO was Con Williamson.